"Rats!" Isn't that a not-so-typical exclamation when things are not going our way? "Rats! I forgot my wallet"; "Rats! This room is so dirty!" As if rats are all to blame. 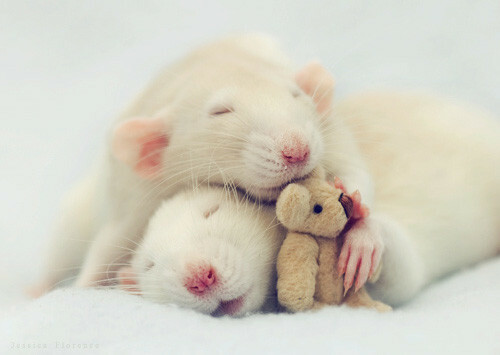 Isn't it funny too how rats all of a sudden sound friendlier and clever when we call them mice? I still wouldn't want my house to be infested with them but if I were to choose between a rat and a mice, I'd choose the mice; even if they can pretty much be the same thing. Words, they can be really powerful. The words we choose can make or break our success. The words we choose can make or break people, even. Few weeks ago, I called in sick. As usual, when at home, I either read a book or just stay online. I know there are tons better things to do to choose from but every now and then, I don't think the list comes convenient to me. 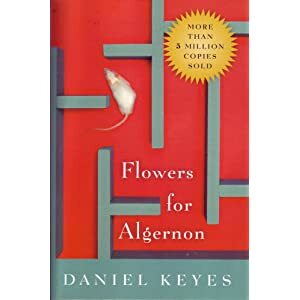 So I read Flower for Algernon by Daniel Keyes. I had no idea what I signed up for. Personally, I think the first few pages of Flowers for Algernon is the novel's most remarkable. I can't go into the details because I wouldn't want to steal the experience from anyone but it was quite honestly one of the most refreshing reading moments I've had. It was filled with innocence, kindness, and it had such a bare soul that was hard to resist. The book is about Charlie, a middle-aged man with a below average IQ, and a lab mice named Algernon. If you've ever found yourself frustrated with yourself and mostly focused on your failures, I would recommend that you take time to read the "flowers". I think there's nothing more shameful than wasting life away just because we succumb to fear or we decide to nurture anger or despair. As much as a self deprecating character is amusing, we should always stand by ourselves--weakness and all. Flowers for Algernon is a triumphant story of self realization. My social science studies tell me, I have the division of labor to blame my frustrations with. It is the stigma and the norms society dictates upon each and every one of us that makes the most horrid monsters out of even the purest seeds; but my experiences taught me that I should be gracious with the words and the thoughts I choose to entertain. As much as a self loathing behavior is easy to come by, Flowers for Algernon made me realize how special we all are. We are all special because (not despite) of our flaws. As the saying goes, to err is human. The mistakes and the worries that come by our way are someday the delicate details that would add character to our hungry souls. Flowers of Algernon is a book capable of beautifying the humanity in each of us. In the shadow of deep despair, Flowers of Algernon made me feel thankful that although the my mind is a favored ground for cruel thoughts, I know my will is strong. I would always choose to be a good person. Take time to read the Flowers for Algernon novel. You'll never know. Maybe the things you fear need only be seen in a different light. Fear has a history of clouding judgments anyway. From the book, I learned, that people don't need to be smart to live a beautiful life. It is our wisdom which would take us to places. It isn't the complexities we comprehend that makes us better people. It is in fact, simply, our willingness to even understand. Open your heart to change, to fear, to your self actuality. We are all born to love. Flowers for Algernon is available at Fully Booked. For inquiries, visit their website here. oh interesting! thanks for the review. and I had a pet rat when I was little, they're smart animals!